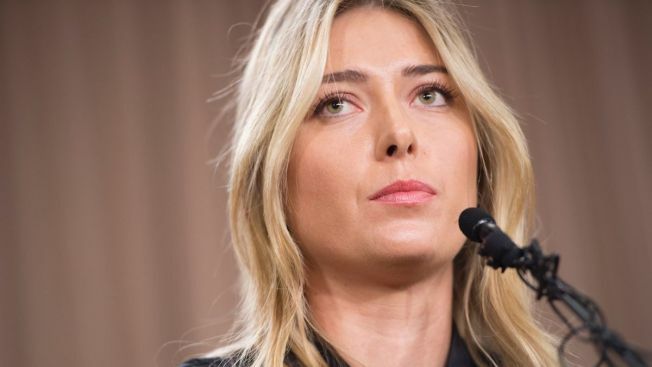 Russian tennis player Maria Sharapova speaks at a press conference in Los Angeles, on March 7, 2016. In a Facebook post Wednesday, the 28-year-old tennis pro penned, "I woke up yesterday morning with an inbox, in full capacity of love and compassion...In this moment, I am so proud to call you my fans. Within hours of my announcement, you showed me support and loyalty, which I could only expect to hear when someone would be at the top of their profession." Sharapova, 28, said she had been taking meldonium, a blood flow-promoting drug, for 10 years for numerous health issues. Meldonium was banned because it aids oxygen uptake and endurance. According to The International Tennis Federation, Sharapova will be provisionally suspended pending determination of the case. Three of the Russian tennis star's major sponsors cut ties with her after she acknowledged failing the doping test at the Australian Open. Nike, watch brand Tag Heuer and luxury car company Porsche moved quickly to distance themselves from the five-time Grand Slam winner after she announced the positive test.